Blennerhassett mansion must have seemed like an oasis to those floating down the Ohio River in the early 1800s. The magnificent home and estate were built by Harman Blennerhassett, a wealthy Irish aristocrat, and his wife, Margaret. The couple only had a few short years on their “island of Eden” before an unfortunate enterprise with former Vice President Aaron Burr (yes, the very same one who dueled with Alexander Hamilton) caused them to flee under suspicion of treason. Today, groups hear the ill-fated tale of the Blennerhassetts and the mystery that shrouds them when they visit Blennerhassett Island Historical State Park. 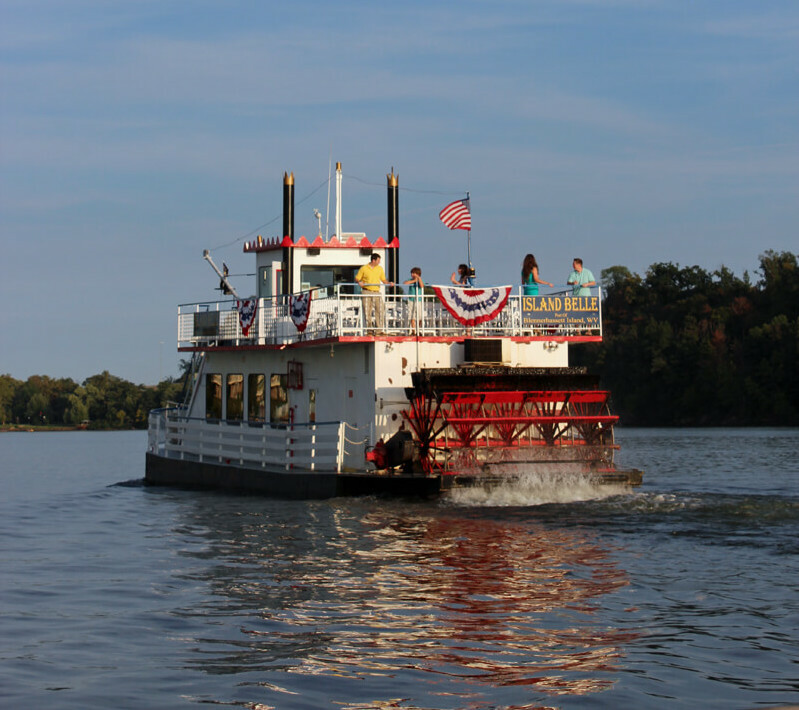 Ride an authentic sternwheeler to the island (May–Oct.) and enjoy a guided tour of the reconstructed mansion. Then take a covered wagon ride around the grounds and learn of the islands most famous visitors. Or, plan a visit mid-October for an 18th century party, Mansion by Candlelight. Continue the tour of grand historic mansions in Greater Parkersburg, West Virginia, with a walking tour through the Julia-Ann Square Historic District. Hear how the former owners of these homes carved out new frontiers, industries, and the state of West Virginia. Just a short drive from the district, a visit to Henderson Hall Plantation will bring the group full circle in its tour of impressive homes, and the Blennerhassett story. A visit to Greater Parkersburg isn’t complete without a backstage tour of the Historic Smoot Theatre. Built in 1926 as a vaudeville house, the theater continues to provide live entertainment for all ages. And don’t forget to stop by Holl’s Swiss Chocolatier to see master chocolatiers at work or shop for classic treasures at America’s oldest 5 & Dime Store, Berdine’s. Book a group’s visit today at greaterparkersburg.com or by calling Visit Greater Parkersburg CVB at 304-428-1130.